One of our top beauty concerns is having a beautiful skin. Everyone wants to feel self-confident, glowing, strong, in shape. So, beauty means being healthy and taking care of your appearance. The stress, the environmental factors, sun exposure are elements that affect the quality of our life. In this context, people and especially women, try to compensate by doing sport, making better food choices and nourishing the body looks. When the time passes, mirrors can be our best friend or our worst enemy. We are all aging and this is visible in our appearance to us, or to the others. The way we age is a choice. The skin is the first indicator of our beauty, the largest organ of our body. By taking care of our skin, we are fighting the time, so that it wouldn`t leave so many marks on our faces. The largest organ of our body is our skin. Its structure has three main layers: epidermis, dermis, hypodermis. Through it, our body gains resistance, because it acts as a thermostat. Its also protected from pathogens, UV light, chemical compounds. The composition of the skin describe us the needs it has in term of nourishment. It’s mostly based on Carbon, Nitrogen, Hydrogen, and Oxygen with small amounts of Phosphorus Iron, Sodium, Magnesium, Sulphur, Calcium, Chlorine and traces of many others. So, we have to provide it with nutrients and to pay attention and let our skin breathe. Our skin is just amazing. In childhood and in the 20s, it has a huge capacity to regenerate. With every decade that passes by, this capacity tends to decrease. And the sun exposure, the lifestyle and the diet influence it. So, we have to help our skin and adapt our daily skin care routine to preserve it. This means cleaning it, using a toner, a natural and botanical cream. The purpose is to keep our skin hydrated and the level of elastin high. 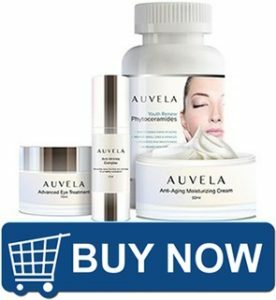 We all want to stop the skin aging and to remain young. In order to succeed, we have to anticipate hat our skin ages with each decade and do our best to limit the impact. In our 20s, our skin is glowing. The teenagers’ skin condition is almost forgotten. The level of natural antioxidants its just fine and wrinkles are not a concern. Still, our skincare routine must start now, because the skin will be dryer in time. The skin care products must be based on antioxidants, vitamin C / E, green tea extract, fruit acids. When reaching our 30s, our metabolism decreases. The production of collagen and elastin slows down and our skin becomes dryer. The wrinkles start to appear and, if we don`t keep our skin oily and nourished, the impact will be more significative. Prevention is the rule and the skin care products based on niacinamide (vitamin D3) don`t want to miss. In our 40s, the lifecycle of the skin cells and the production of elastin slows down a lot. The wrinkles become more and more accentuated. So, a proper skin care routine must be based on products with ingredients such as retinol, glycol acid, peptides. Of course, a proper diet will boost your skin cells energy and will keep you healthy, in shape. On the beauty market, there are a lot of products destinated to skin care. But, when choosing one, you have to pay attention to your skin needs. For instance, if your skin texture is excessively oily, you don`t have to buy a cream that will make it even more grease. If you have a skin condition, you are definitely advised to consult a dermatologist. Alpha-Hydroxy acids (AHAs): The AHAs are acids such as glycol, lactic, tartaric, and citric acids. This prevents premature aging and helps you reduce the fine lines, irregular pigmentation, age spots, enlarges pores. It is advised to start with products with a 10-15% AHAs concentration and to use it gradually until daily use. Beta-Hydroxy acid (salicylic acid): It has almost the same effect such as AHAs, but is less irritating for the first use. It removes dead skin, improves skin texture, fights acne and repairs sun-damaged skin. Hydroquinone: It helps to lighten hyperpigmentation, such as age spots and dark spots. 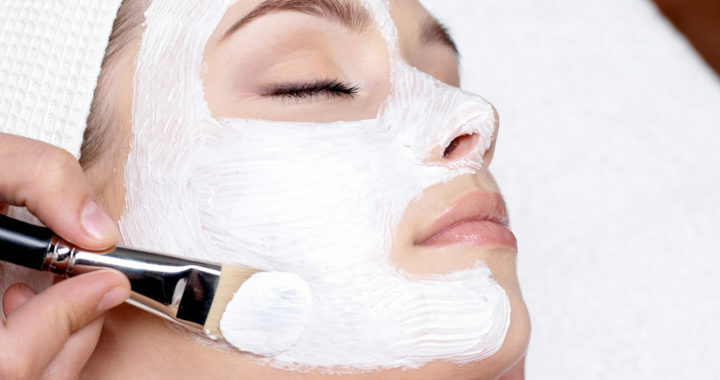 This ingredient is mostly used in bleaching creams and lightening agents. Kojic Acid: This acid is similar to hydroquinone and has the same effect. Retinol: It`s derivated from vitamin A and it`s found in many anti-aging skin care products. It has a molecular structure is tiny enough to enter into the lower layers of the skin, where it improves the collagen and the elastin. 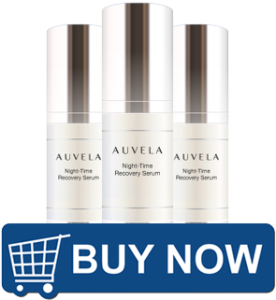 Retinol fights fine lines, wrinkles, pigmentation problems, low hydration. L-Ascorbic Acid: it is the form of vitamin C that you should search in your skincare line. It acts as an antioxidant that stimulates the production of collagen, minimizing fine lines, scars, wrinkles. Hyaluronic Acid: It reverses and stops aging. It is considered “the key to the fountain of youth”. Hyaluronic Acid is a compound of the body`s connective tissues and is known to cushion and lubricate. It one of the most frequent acids used for wrinkled skin. Cooper Peptide: It’s the most effective regeneration product because it promotes the production of collagen and elastin, acts as an antioxidant and promotes the production of glycosaminoglycans. It is at the base of the anti-aging skin care products because it leaves the skin smooth, clean, hydrated, repaired. Alpha-Lipoic Acid: Its known as a “universal antioxidant” because its soluble in water and in oil, which permits its entrance to all parts of the cells. Its anti-aging effects are miraculous. The fine lines are diminished, the skin will be healthier and will glow, the levels of antioxidants are boosted (example – vitamin C). DMAE (dimethylaminoethanol): It’s the brains food because it’s naturally produced by the brain. We can find DMAE in anchovies, salmon, sardines. It enhances the production of acetylcholine, that ensures the mental functions. So, your skin will be regenerated and you will forget about fine lines and wrinkles. ← Skin care no matter the age!